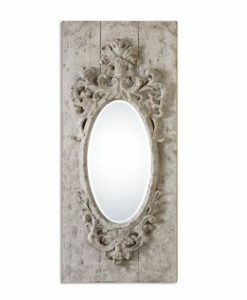 The Large Silver Beaded Wall Mirror is stunning, simple and elegant. 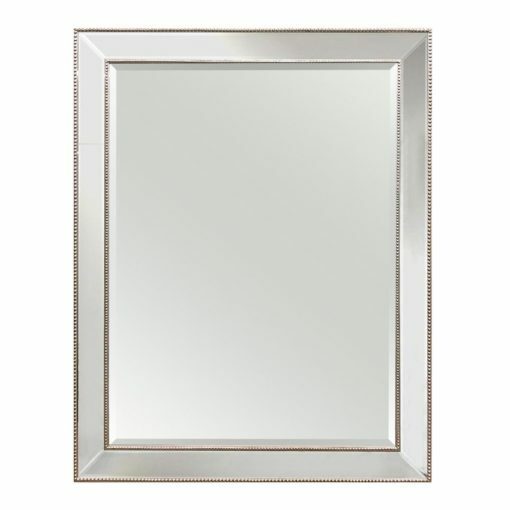 Its beautiful silver frame is detailed with a beaded trim. 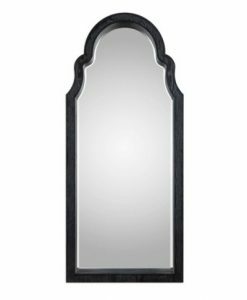 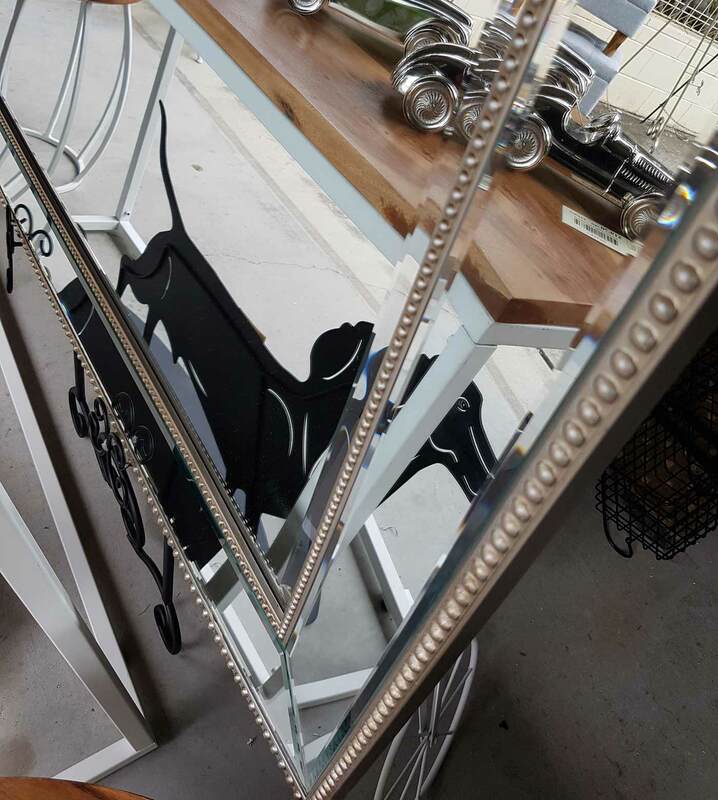 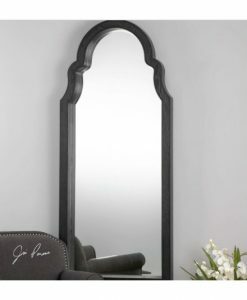 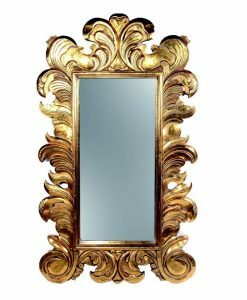 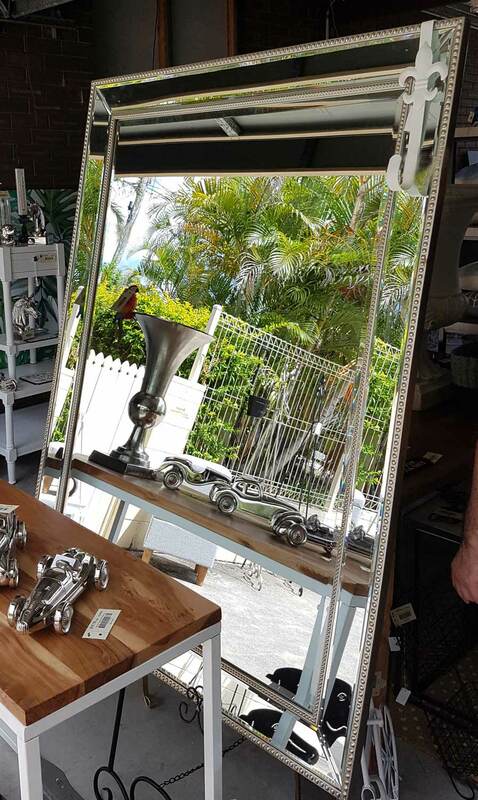 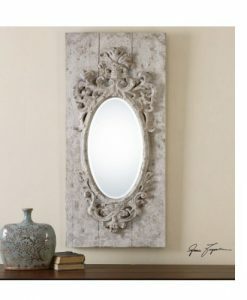 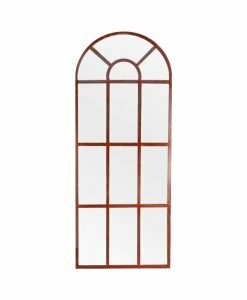 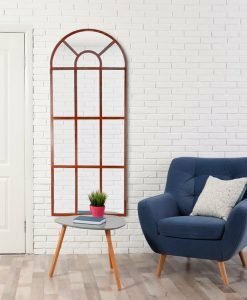 This mirror would be a wonderful addition over a mantle or console table. 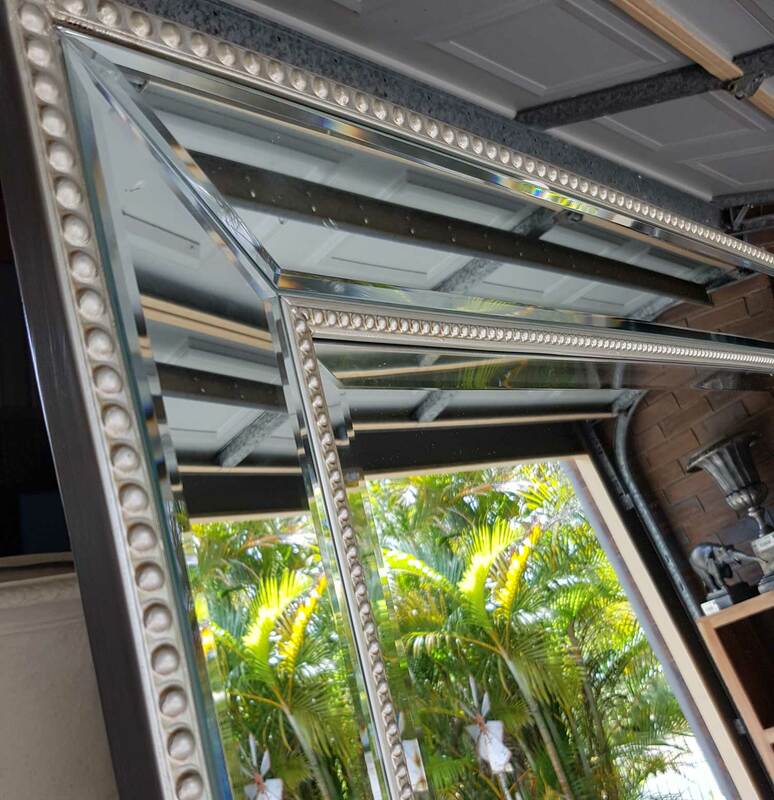 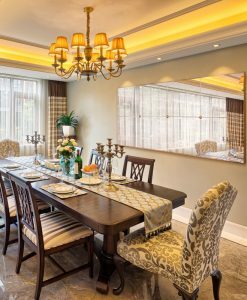 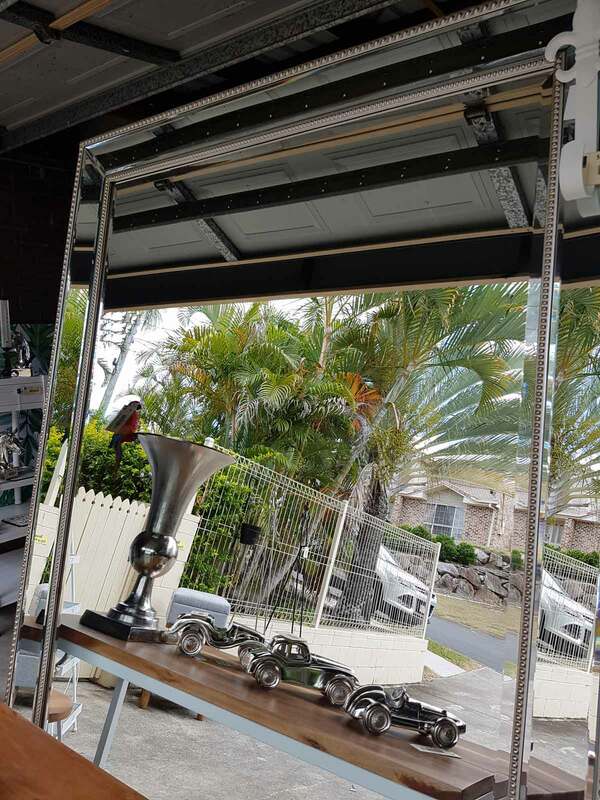 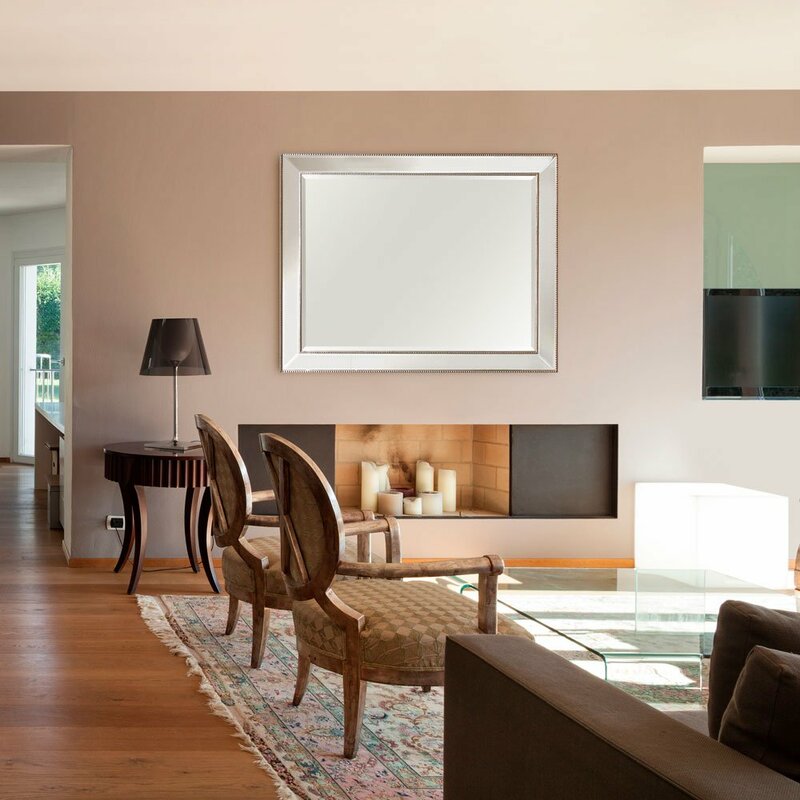 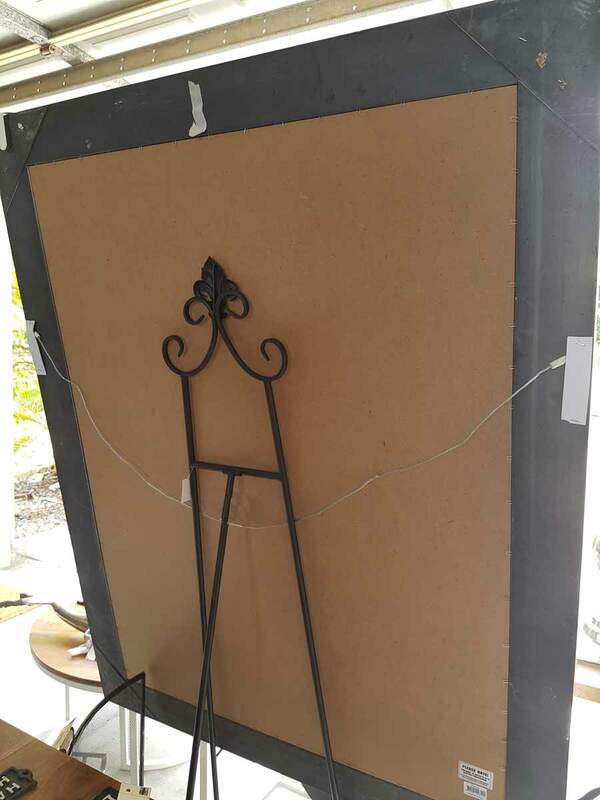 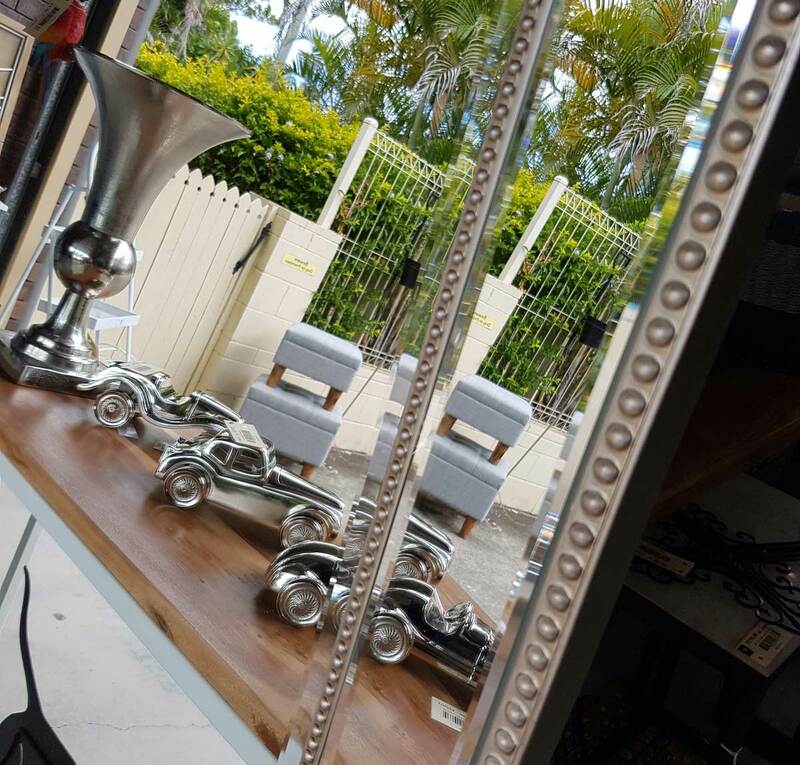 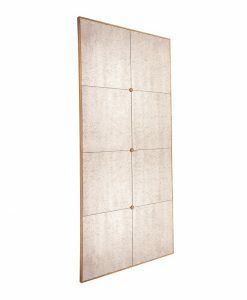 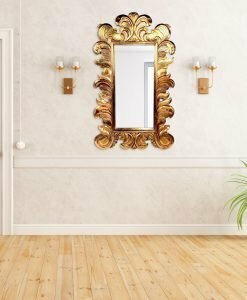 This mirror has hangers for vertical mounting only, however these can be easily unscrewed and re-positioned for horizontal mounting.